Midnight Syndicate’s NEW “Monsters of Legend” CD to be unleashed! 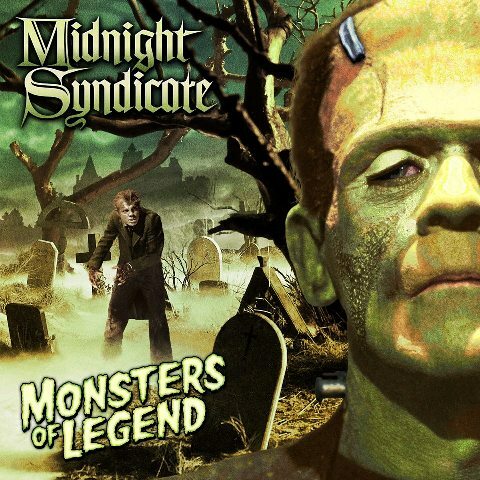 (From Midnight Syndicate) On July 19, Midnight Syndicate will release it’s sixteenth studio album, “Monsters of Legend.” This “tribute to the golden age of horror” will feature sweeping symphonic horror instrumental music and sound effects in the signature style the band pioneered. “We want to make you feel like you are a character in one of those classic horror films – that you’ve entered a world where any one of the iconic characters from the Universal Horror and Hammer Films could be right around the corner,” said composer Edward Douglas. 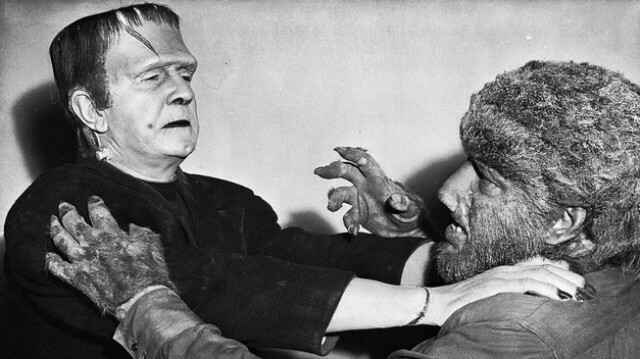 The CD artwork features original images from classic Universal Studios horror movies including Frankenstein, Werewolf of London, and Dracula. “Listeners will hear the influence of the Universal Monster, Hammer, and Euro Horror films from the 30s through the 70s, not only in the music but in the images the songs conjure,” added Gavin Goszka. Although the band promises the new disc will deliver the dark atmosphere haunted attractions, role-playing gamers, and Halloween enthusiasts expect from them, they feel they’ve crafted a disc that transcends their favorite time of the year. “As we did on Carnival Arcane, we’re always trying to take things up a notch both musically and with the sound design. The CD will be available for pre-order the first week in July. In addition to other new merchandise, Entity Productions Halloween Music will be releasing a special edition 12″ vinyl version of the Monsters of Legend album, hand-numbered and limited to 250 copies. Don’t miss out! Click HERE for ordering Info! Also, stay tuned for a review on the CD from David Albaugh coming SOON! This entry was posted in Monsters, Music to Die For! and tagged Dracula, Euro Horror, Frankenstein, Hammer Studios, Midnight Syndicate, Monsters of Legend, Universal Monsters, Werewolf of London. Bookmark the permalink. ← THIS IS THE END…and it’s a riot! I was not aware of this release until now. “The 13th Hour” is a staple of my annual Halloween spookfest and sets the tone perfectly for the graveyard. Sampling this one, however, tells me I’ve got to update my selections!